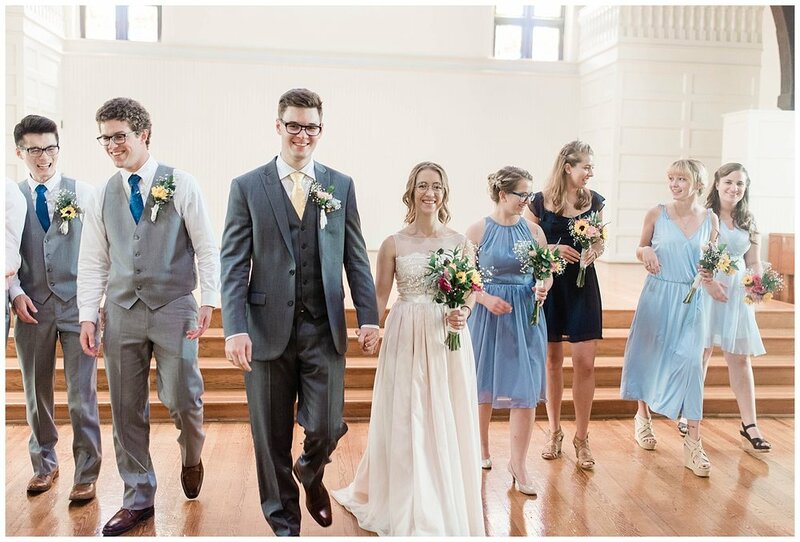 WOOOO I loved this sweet day and this awesome couple-- so I could NOT WAIT to get them up on the blog!! You may remember seeing their engagement photos earlier this year (catch them here) and I remember while we were taking those photos, June felt sooo far away! 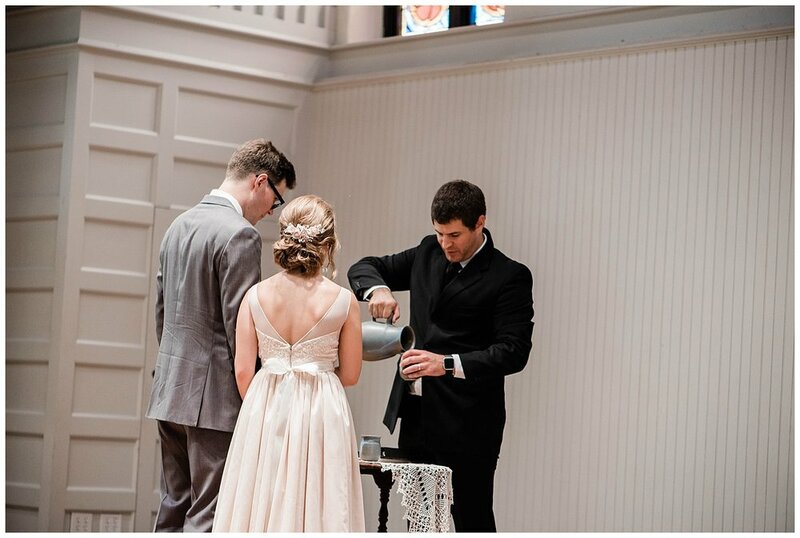 I can't believe it's come and gone but man, was it a perfect day celebrating these two jump starting their lives together with all of their family and friends! 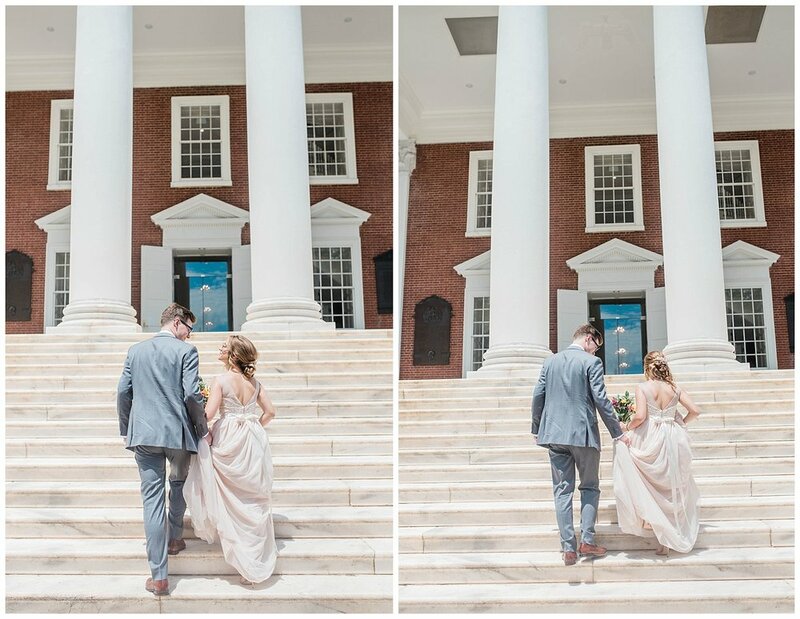 Their big day took place in Charlottesville, VA. 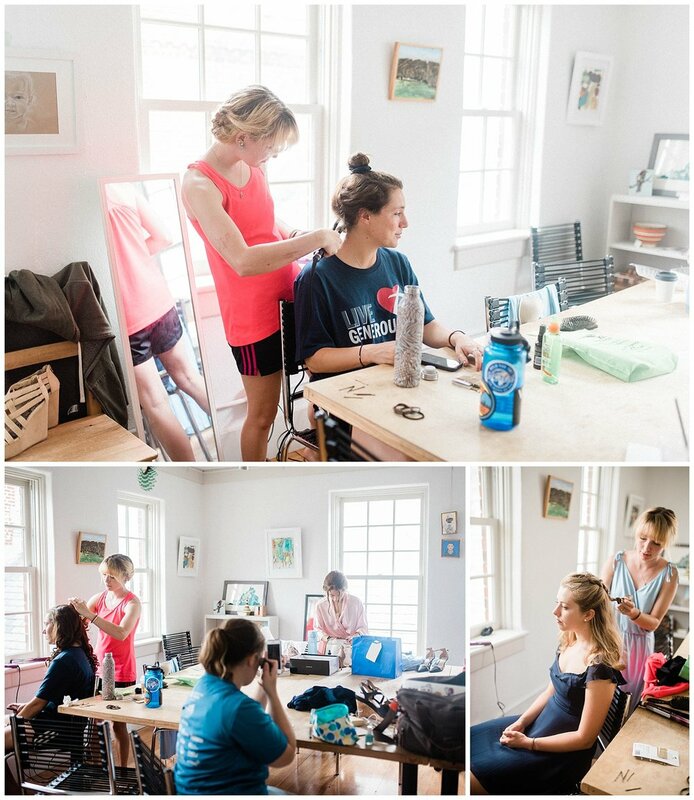 I started the day with the girls getting ready at the ceremony location-- the sweetest little chapel near the downtown strip mall. The ceremony was extremely intentional and truly brought immeasurable glory to Jesus. 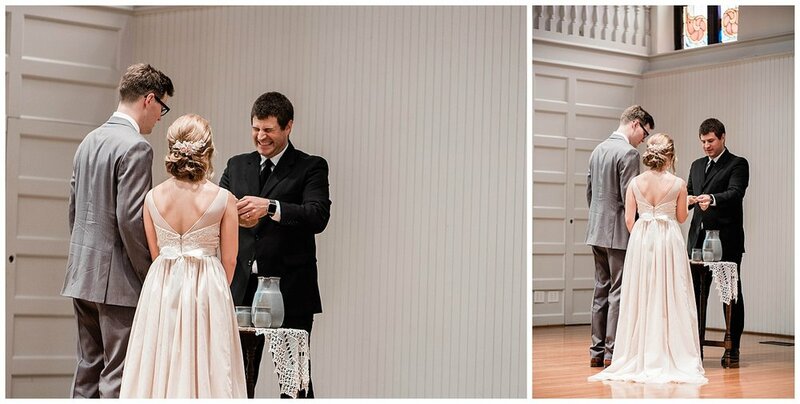 Michael's dad lead worship and they chose to take communion, and these two moments were so special. After the ceremony Michael's brother Brian drove us onto UVAs campus so we could get photos where they met, studied, and both have degrees from! (Holly will have THREE!) 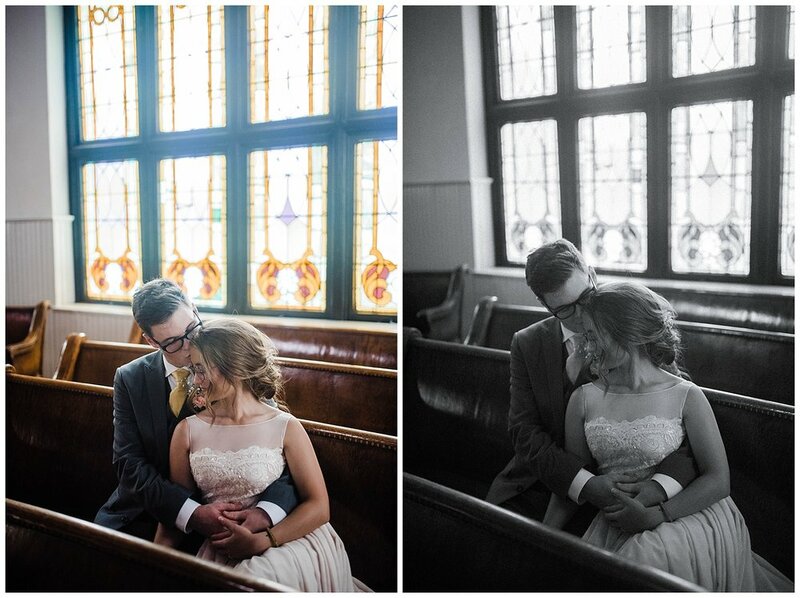 I also had the chance to capture some beautiful and intimate moments of the two of them in the church pews. We ended the day celebrating at the reception which was absolutely perfect with backyard games and a cookout! 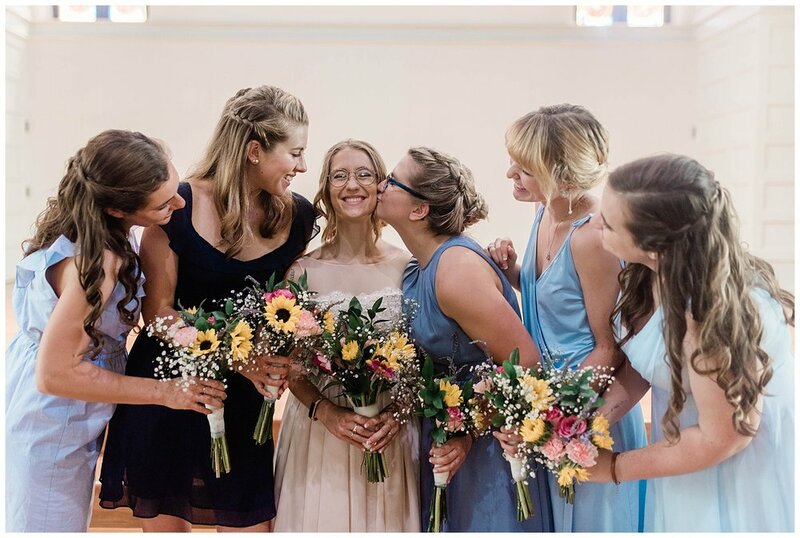 I truly loved this day and hope you'll feel the joy through these photos!